it included a late birthday gift! to possible customers. The copyright on the back reads 1987.
of 21 877 feet (about 6 668 meters). 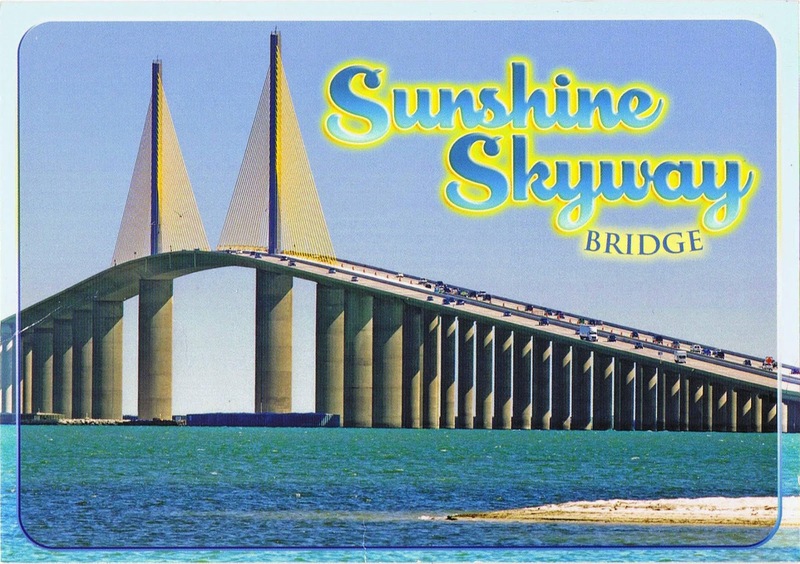 The bridge is considered the "flag bridge" of Florida"
My pen-friend put lots of great stamps on her letter! 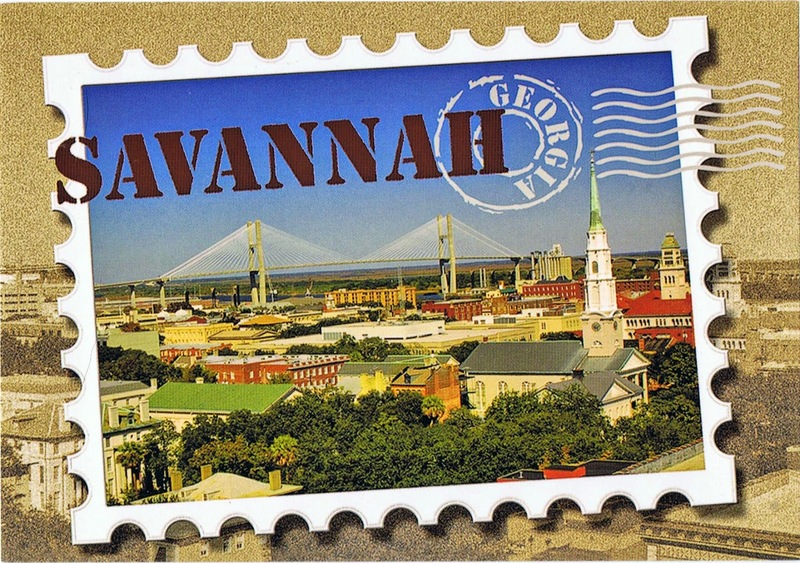 And last but not least, a postcard from the UK! The town's most prominent feature is the Mount, a 7-acre (2.8 ha) park facing the sea-front, laid out by Decimus Burton, and built on a large sand dune originally known as Tup's Hill. It is surmounted by a pavilion built in 1902 incorporating a clock added in 1919. 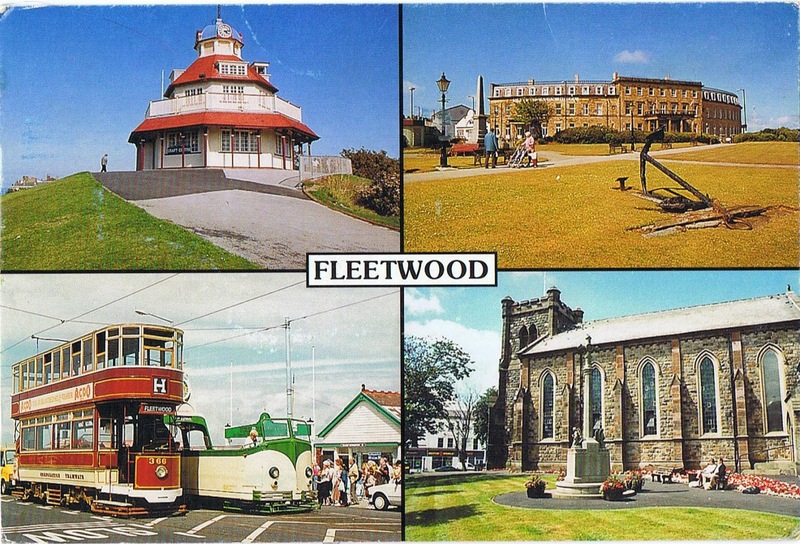 Fleetwood Transport Festival, also known as Tram Sunday, has been held annually on the third Sunday of July since 1985. It is a festival of vintage vehicles highlighted by a number of historical tram-cars, which parade along Lord Street. 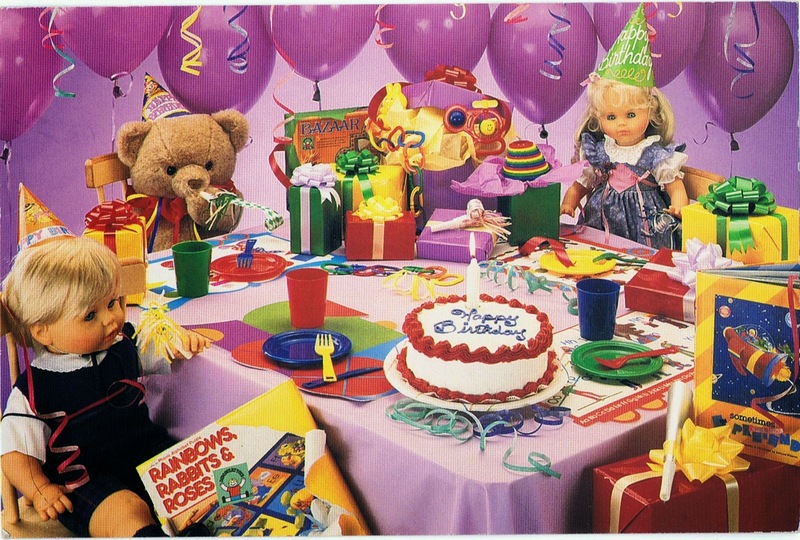 The card with the toys is FABULOUS!